Have you been looking for WordPress Hotel Themes? Are you not satisfied with the free themes available on the Internet? 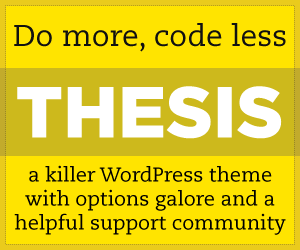 Or maybe you don’t want to spend a lot of money having a developer design a theme for you? Then worry no more, following this text is a collection of some of the finest WordPress Hotel Themes from around the Internet. I agree that the themes are out there, but you will have to go through a lot of websites to get to it. In this collection, we have compiled themes specifically designed for the hotels. These WordPress Hotel Themes are designed, while keeping in mind the differences between such websites and other WordPress based websites. Whatever you own, it may that be a hotel, motel or maybe even a resort, you need certain features to be available on your website. Well, the themes in this collection have a customized template to showcase your rooms and your services, followed by warm and welcoming colours. Now you don’t have to run after developers to get what you need. With the help of common sense you can have the hotel website in a matter of clicks. Purchasing the theme might cost you a bit, but other than that you don’t have to spend a dime on the website design. So go ahead, browse through this collection to find the theme which suits your hotel theme. Not only will you get a great new look, but you can customize it enough to make it personal. Aurora is a modern WordPress theme with an intuitive and modern layout. It is developed for luxury and boutique properties. Aurora has a clean, stylish and distraction-free one-column design. It helps you present your website content in the best light possible, without any distractions. The homepage is built with Easy to use widgets, so you can quickly highlight as many content pages as you like, Aurora comes with a “Rooms List” custom page template which is great for showcasing the different types of rooms. It includes Attractions List Custom Page Template. Aurora is compatible with Visual Builders, and integrates with Elementor, Visual Composer, Beaver Builder. Aurora is responsive design that allows your website looking great on all screen including mobile devices. Arcadia is a modern WordPress theme developed for hotels, resorts, motels, B&Bs, vacation rentals. It is responsive design that allows your website looking great on all screen including mobile devices. It comes with a powerful Live Theme Customizer, helps you to tweak settings, background images, colors, and content and see a preview of those changes in real time. Arcadia is search engine optimized to make sure the theme is light, bloat-free and load as fast as possible, which helps your ranking in search engines like Google. Paradise Cove is a hotel WordPress theme that comes with a lot of specific short codes, pages and features, the reservation module being the icing on the cake. Paradise Cove is fully responsive and fits every device easily. Paradise Cove is packed with Built-in SEO & marketing. Opaline is a very clean and minimal theme that can be used for hotels, resorts, to promote touristic locations and with a bit of imagination it can actually be used for almost every kind of website. In the front page you have a very flexible slider, our most flexible slider up to date, and many widget ready locations which will help you highlight the most important features of your business. In the bottom you have a featured category, or alternatively you can have a static page. Nation Hotel is a fully responsive WordPress theme designed for Hotels, Motels, Guest House, Hostels and any other hospitality businesses. Nation Hotel is built using latest HTML5 and CSS3 technology that gives you future proof of browser compatibility. Nation Hotel includes all the features to help you setup a functional Hotel related website. Nation Hotel is packed with some amazing feature rich premium plugins such as Revolution Slider (19$ in value), build-in reservation system, user-friendly reservation page and many other useful features. Using build-in booking system you can manage all booking request from dashboard, setting up booking calendars, easily create checkout form and a lot more. Nation theme is fully customizable and helps users to set up hotel sites using 46 various theme options and 14 build-in widgets. Nation theme can be easily translated in your own language using .mo/.po files. The Ambassador is an excellent hotel WordPress theme for business, resort, or other types of hotels sites. It is available with many useful features. The modern and intuitive design uses full-width photos to better highlight your subject’s beauty and style, your site will stand out and success!